WALL-E is a 2008 CGI science-fiction romantic comedy film produced by Pixar Animation Studios. The movie depicts the story of a robot named WALL-E, who is tasked with cleaning up a waste-covered Earth. Ultimately, WALL-E falls in love with another robot named EVE and decides to follow her into outer space. As Wikipedia notes, both robots exhibit an appearance of free will and emotions similar to humans. Although a robot with WALL-E’s capabilities and advanced intelligence is obviously decades away, we humans can still have plenty of fun in the present with small-scale models. Case in point? 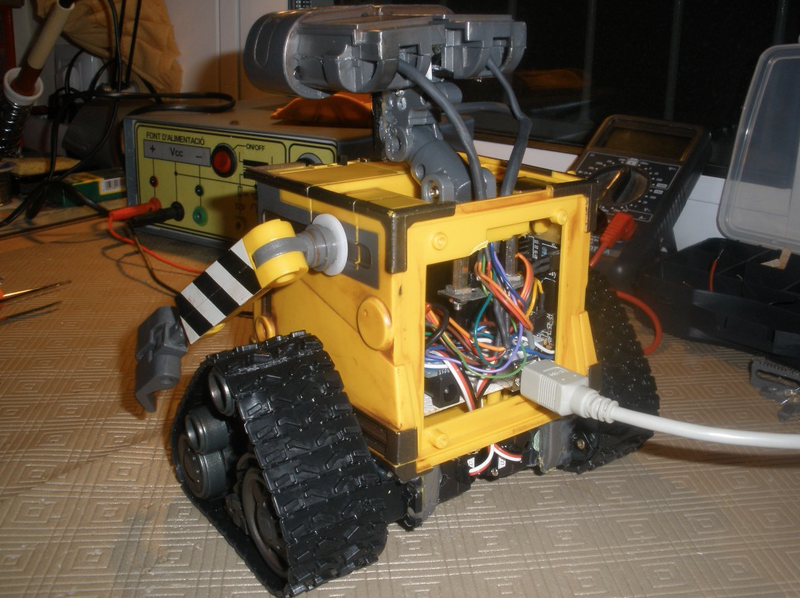 Adriá García of DIYMakers, who recently modded a WALL-E by swapping out the bot’s default “brain” and replacing it with an Arduino Uno (ATmega328). Equipped with the Atmel-powered board, two infrared proximity sensors and an EasyVR module, the robot is now capable of responding to voice commands (up to 32) and avoiding obstacles. According to BonjourLife, García actually made a series of modifications to the (initially) humble WALL-E, including moveable arms, a head with 5V micro servomotors, a rotation servo motor (provides gripping for moving wheels) and blue LED eyes. Interested in learning more about the heavily modded WALL-E? You can check out the project page on DIYMakers here. 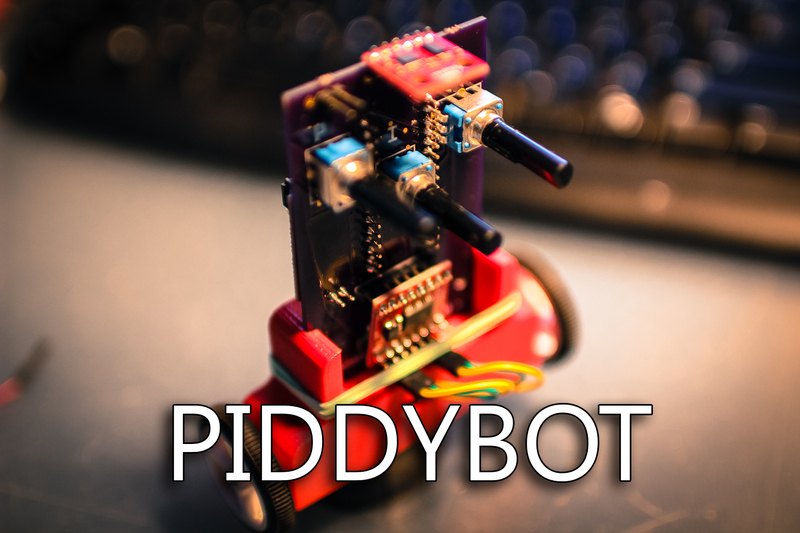 Readers may also want to take a closer look at PiddyBot, a self-balancing robot which we recently featured on Bits & Pieces. This entry was posted in Arduino, Maker Movement and tagged Adriá García, Arduino Uno, ATmega328, BonjourLife, DIYMakers, EasyVR module, WALL-E on February 5, 2014 by The Atmel Team.